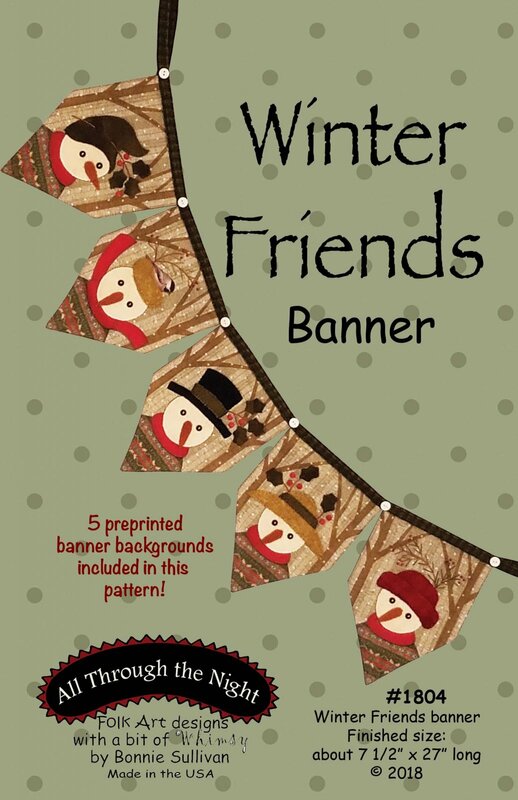 Pattern includes 5 preprinted banner background fabrics. Finished size: about 7 1/2" high x 27" long. All you need to add is a little applique and embroidery. The embroidery lines are printed on - no tracing needed!